TAKE5 gives you an update on the latest Meetings, Incentives, Congress, Events and related news. It contains short and to the point information on venues, people, happenings, lifestyle and general news that cannot wait to be told! Enjoy BBT Online's 117th Take5 edition. Our Take5 newsletter is completely advertorial free. 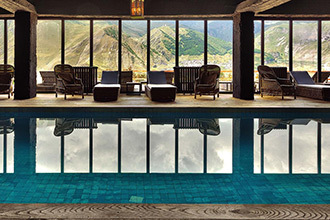 Sommet Education – a higher education group led by two Swiss hotel management schools, published a report with what they think will be the main trends for the industry in 2019. 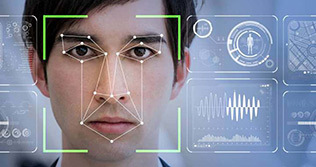 This is the list: innovations such as shared space and social experiences to attract Generation Z; technologies like AI, facial recognition and blockchain-platforms; luxury brands using hotel codes to couple online and offline experiences to improve human contact and client loyalty; sustainable and fair-trade solutions to once again attract the younger generations and local flavours in the offered food and beverage selection. Being a DJ is more than just playing records and pushing some buttons, and now you can learn all the tricks of the trade yourself. 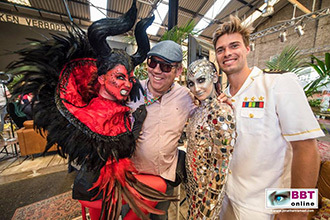 David Fouquaert is an international DJ who started a DJ-School in 2013. He now offers courses as teambuilding activities. 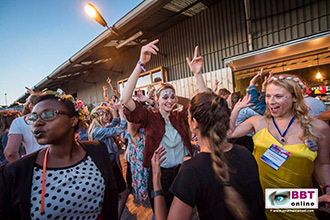 Your clients or colleagues will learn how to start the wildest parties on an original location in the Kuiperskaai in Ghent. 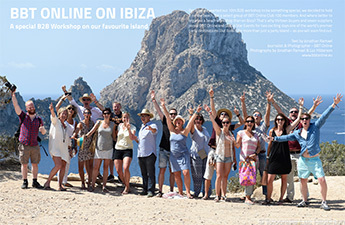 “DJ Your Life”, as the course is called, recently won an award for being one of the ten most original teambuilding concepts in the country. 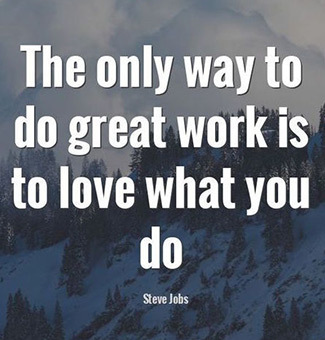 Of course that was one of the main reasons for us to ask them to come to BBT Online’s b2b workshop on June 24, so that you can try out the course yourself. Relax and throw an axe! 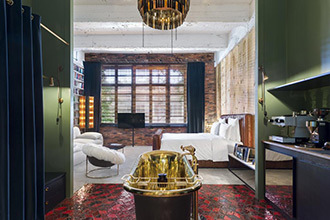 The Independent Hotel Show is a business event for the hotel community taking place in RAI Amsterdam on 8-9 May. 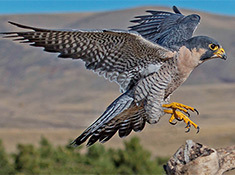 It originated in Britain, where it is on its seventh run. Now for the first time, it branches out to the continent for a brand new edition. Hotels from The Netherlands, Belgium and Germany will all take part as suppliers. Both visitors and suppliers can register via the website. Only a few places are left for exhibitioners. Looking for a bit of stress relief without actually killing your most annoying colleagues? Why not throw a few axes around? 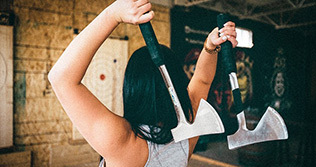 Woodcutter is a company that provides just this: ten axe throwing locations in Brussels, able to accommodate 30 people per hour. They will teach you the correct throwing techniques and then you and your colleagues are off to play several games or to compete in a tournament to establish who has the best throw in all the land. Try not to get hurt. 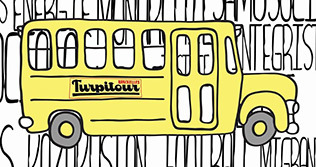 Turpitour takes you on a bus tour of the Belgian Capitals funniest turpitudes (literal translation: depravities, but we don’t think it’ll be that bad). You will see the city guided by a stand-up presenter and you will laugh at what you see, while you drive past historical monuments, institutions and places with absurd histories. The tour is a combination of well-known sites with special stories, and a couple of lesser known surprises. You’ll enjoy some Belgian delicacies on the bus as well. 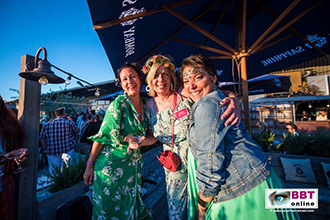 L’Echappée Bière organises brewery visits, tasting sessions, all-in seminars, incentives, beer casinos, murder parties and treasure hunts: all arranged around a central beer theme. They give groups the opportunity to discover the heritage of one of our best national products, mostly in and around Brussels and the border provinces. The company is French, and organises wine incentives in Bordeaux and Strasbourg as well. 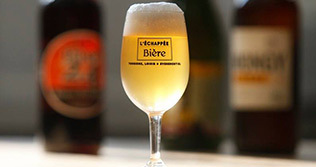 L’Echappee Biere will be present at our workshop on June 24. 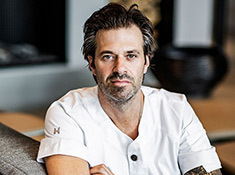 Battoo is a company focused on organising events on luxurious floating locations. They recently announced a new addition to their fleet. The Blue Rhapsody is a great looking ship with a very distinctive bow. 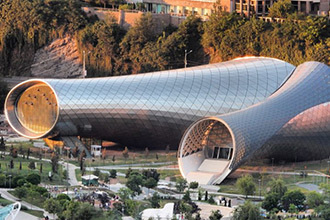 It’s 85m long and can accommodate up to 600 guests for a variety of events. 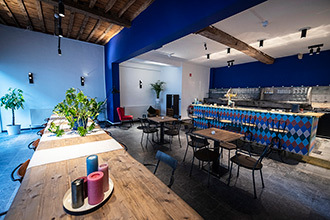 It comes with lots of different, splendidly designed spaces that can cater to both small and large groups, and with fantastic food prepared on the spot in the fully equipped kitchen. Blue Rhapsody is to be the new flagship of the company. There is a big chance that our workshop on December 2 (please block the date), will take place on the Blue Rhapsody. To get an idea of the ship, click here. 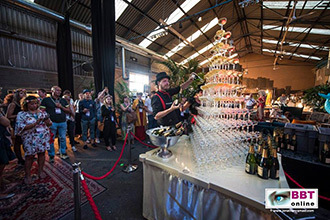 www.locatiesmetmeerwaarde.nl is a website showcasing special and inspiring locations for business events, congresses and parties. All of them are venues with a history, with passion and with added value for the story you want to tell. They are sustainable, facilitate social entrepreneurship and guard cultural heritage. Every booking will also support a good cause as well. We think this is a brilliant idea. We think a similar project should be started in Belgium asap. 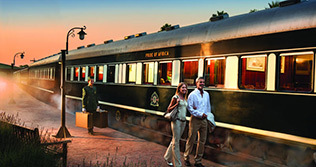 Rovos Rail offers luxury train rides through the most scenic parts of Africa in several different formulas. Clients will experience the romantic feeling of the golden age of luxury train travel. On the Pride of Africa for example: a wonderful historic train that was completely refurbished. Or on the Shongololo Express, another cosy train full of original artefacts. This is the perfect way to travel through some of the continent’s most beautiful landscapes at ease. 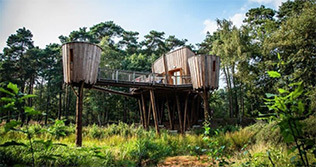 Indonesia is still hot in The Netherlands, and now there’s a new Indonesian themed 4-star hotel in Amsterdam to enjoy. Hotel Jakarta is a stunner. The lobby looks like a rain forest with plants reaching up to the ceiling, the rooms have Indonesian wood carvings and bamboo elements in them, the restaurant serves a fusion mix of Indonesian and western styled dishes and the cocktails on the ninth floor come with Indonesian flavours as well. 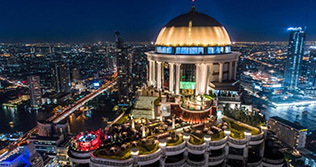 Join us as a hosted buyer to IT&CMA in the Bangkok Convention Centre from 24 to 29 September 2019. Visit one of Asia’s most lively cities, meet tons of interesting suppliers from all over the region and beyond, and enjoy a wide variety of networking activities and post-tours. Send us a mail at jonathan@bbtonline.eu for more info about the registration process. Register now for our 16th b2b speed-date workshop! It will take place on 24 June in the brand new JJ House in the historic centre of Antwerp. Secure your spot now, as we only have place for 150 MICE planners and the registrations go fast. Click here for the invitation and registration form. Expect updates on the theme and the suppliers very soon (over 100! this edition), but we can already tell you it will be another fantastic event to start the summer with. For more info on the venue, read below’s interview with Sihame El Kaouakibi and Erika Xuan Nguyen, the two young women behind the project. 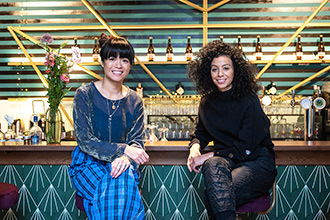 Erika Xuan Nguyen & Sihame El Kaouakibi are the two young women behind JJ House: a new event venue/co-working space/meeting place in a historic location in the heart of Antwerp, and the venue of choice for our b2b workshop on Monday, 24 June. Our journalist Jonathan took a first look at the place – right before it officially opened on 16 February – and sat down for a talk with the ladies. Click here to find out what they had to say. Few places are more synonymous for a peaceful stay in a tropical paradise than the Maldives. You & Me is a hotel on a private, rustic and romantic island in an untouched corner of the country: a beautiful 5-star resort with private villas on the water, that just opened this March. It’s only a 20 minute speedboat ride away from the airport, but there are no other hotels in the area. It’s also an adults only hotel, so no crying kid anywhere. Isn’t that grand? It looks absolutely stunning. Another wow factor is that there’s also an underwater restaurant available, giving diners a 360 degree view of the Maldives’ breathtaking marine environment. Every month we ask some prominent MICE personalities to share their bucket list. 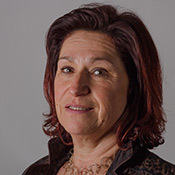 This month we asked Murielle Baeten, Travel & Event planner at the Tessenderlo Group. • 4 April, Hilton Grand Place, Brussels: Global meetings industry day. MPI Belgium and several other organisations across all continents invite you to the fourth annual Global Meetings Industry Day. Click here to register. • 16 May, Hof ter Musschen, Woluwe: Spring Event. NMBS International, Thalys, TGV, ICE and Eurostar invite you to a workshop to showcase their latest novelties. Also present are Accor, Expedia TAAP, Holiday Extras, Groupe Barrière and WorldHotels. Following the workshop are a walking dinner and the Spring Party. www.nmbs-internationaal.com/agent. • The Switzerland Convention & Incentive Bureau invite Belgian MICE agencies to strengthen the Belgian team on an exciting rally through the country from 27 to 30 June. Click here for more information. • visit.brussels, in partnership with four Brussels creators, published a second edition of the Brussels by Designers guide: a great way to get off the beaten track and discover original and authentic places. The tips are divided into five themes: restaurants, bars, hotels, shops and cultural venues. Lots of lesser known spots are mentioned in the guide: from specialised bookshops to neighbourhood cafés. • Goodplanet, Inter-Environnement Wallonie, visit.brussels and the Brussels Hotel Association are cooperating to expand the Green Key sustainability label. The Hotel is the most recent establishment in Brussels to receive the label. 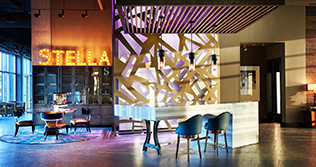 • Accor will try and profile itself more on the lifestyle market: unique destinations, daring interiors, open living spaces to work and socialise in, music and entertainment, friendly and open staff and rich and varied F&B offers with bars, clubs and lounges. • Because they are very labour-intensive, companies in the hotel and restaurant business often ignore the mechanisms that would allow them to lower their social and fiscal burdens – consolidating their profits. This is a problem for the businesses in the leisure industry as well. www.ayming.be. • OneHouseStand published an open letter to event organisers about food waste. Very interesting read, click here. • The renovation of the Sky Hall, the old departure hall of Brussels Airport, is almost finished. It will open January next year and can host events for up to 3,000 people. 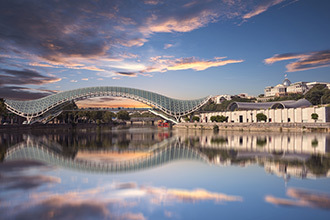 • MECC Maastricht is starting a €49 million expansion project, which will eventually lead to more conferences and an annual added economic value of €10 million, besides strengthening the city as a conference destination. • Oceandiva Futura will not be charging any more travel costs to Antwerp (these are the costs to get the ship to the city). This means you will save €4,000 on your next event with Oceandiva. Great news! • Brussels Airlines revealed the new interior design for its intercontinental fleet. More than €10 million was spent to revitalise the Economy, Premium Economy and Business Class seats. The latter ones should now feel like being in a boutique hotel in the sky, according to the Belgian airline. • Air Belgium cancelled its connection between Brussels-Charleroi and Hong Kong due to the current economic climate. It will still concentrate on further development towards China and the Americas though. You do not yet receive our newsletters, or you have a colleague who wants to be kept up to date on the latest meeting and event news? Enter your email address to subscribe. You want to use our MICE planner’s database of 20,000 up-to-date addresses for an e-mail marketing campaign? You want to add your banner on our website or in our newsletter? Click here for more information and conditions or contact us at info@bbtonline.eu!